Expensive rentals for training grounds and venues is an issue for most leagues. Until 2011, Rainy City rented training space in Middleton, and event space in Bury to hold our games and bootcamps. We’d pay £60-80 for a 2 hour training slot (block booked) 3 nights a week, so that we could have team training, scrimmage, and a new skater training night. Generating the income to support this model is hard, particularly when skater numbers fluctuate throughout the year. And finding a minimum of £1,000 up front to host a game was even harder – meaning that we could only host a few games per year, when funds allowed. It was difficult for the sports halls to squeeze our bookings into their timetables, and we couldn’t always get the dates/times we wanted. The choice of venues was limited too – despite the numbers of sports halls in and around Greater Manchester, we were often met with resistance from the owners who were worried we’d wreck their shiny floors with our skates. We decided to investigate the possibility of leasing some space that we could turn into our home venue. We spent many months researching locations and commercial property. Lucky for us, one of our members Maddy Nuff worked in commercial lettings, and she found out that the former Astoria theatre/Butterflies Nightclub/Riley’s Pool Hall on King Street in Oldham, was up for lease. The building had been derelict for 4 years, and the owners were open-minded enough to help us negotiate a deal that would support our dream. We took up a lease of the first floor, knowing that we would have a LOT of work to do, to make the space usable. Most of the work was carried out by our skaters, using very limited funds we had raised ourselves through an international bootcamp earlier that year. Since we came to Oldham we have made a huge effort to connect with the town, and become part of the community. When the Olympic torch passed through Oldham last summer, we were involved in the celebrations in the town centre, and have taken part in Oldham Carnival, Oldham Pride and the Manchester Day Parade. We’ve been shortlisted for Sports Club of the Year twice in the prestigious Oldham Sports Awards, and we have worked with Oldham Council Sports Development and the NHS Trust, to deliver a course of “Learn to Skate” sessions as part of their Active Adults programme. We could only get so far on our own. Following a successful application to Sport England, we were awarded £50,000 Olympic legacy funding from their Inspired Facilities fund. We used this to make improvements to our facility, including a new Skate Court floor, heating, spectator seating, new toilets, and PA gear. The application process was lengthy, but we were well-supported by the Sport England staff who responded quickly to any questions we had, and provided further information when we needed it. We had to be very specific about what we would spend the money on, and how the improvements would help us grow. We had to provide evidence of the need for our project, how we are involved with the local community, and how we affect other businesses in the area. We have to supply accurate reports and figures to prove the long-term sustainability and viability of our club. The most important task is to get buy-in from your members. RCRD is a skater-owned, skater-operated, not-for-profit organisation. Outside of training, our skaters are responsible for keeping the league running, promoting our games, liaising with other leagues, designing artwork and merchandise, along with all the book-keeping and paying the bills. We truly are a collaborative league, and our success is down to every person, no matter how small a contribution they make. Before you start, brainstorm, collaborate, and generate ideas within your league. Include everyone – not just skaters, officials, coaches and volunteers too. Everyone will be needed to work very hard, so everyone should get a say. Be transparent, and enable time for discussion and debate. Get your league organisation solidified, and make sure it’s clear who is responsible for what. There are many more tasks to carry out when you have your own venue, and some of them are high priority tasks you can’t ignore or put off. 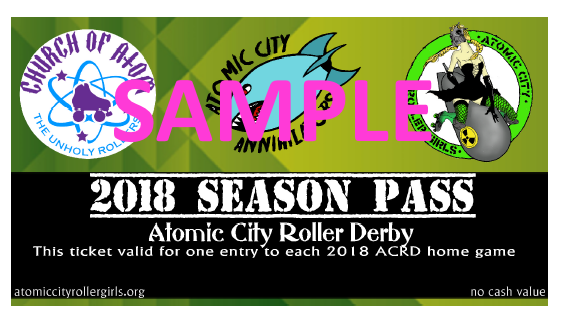 Be sure that your league can support this new venture. Have a clear financial and operations plan and communicate it well. Be clear on what will be expected of each member, and always take a vote on important decisions. Make sure the venue you choose is close to transport links so that your skaters and spectators can find you easily. Choose areas that are underprivileged or in need of regeneration – this means you’re bringing some benefit to the area, and your applications for funding are more likely to be considered. Investigate local council plans and town centre themes and become a part of them. Research sports development in the area, and make sure they know about you. Assess your competition – Are you moving into an area where there’s already one or more established leagues? Are you going to struggle to attract numbers on game day if you have clashing events? Ask a solicitor to work with you on the lease paperwork, to ensure you understand what you are signing up for. Get clarity on who is responsible for building maintenance – usually the landlord will only be responsible for external repairs, or repairs to damage caused by external issues. Before signing anything, have a buildings safety check carried out to ensure there are no nasty surprises. Yes, there is a cost associated with this, but it is better to be safe than sorry. Get an accountant! Really. Get one. There are many tasks involved in running your finances, and they all become more important once you are running your venue. Register as a limited company with Companies House, and have your accountant submit your annual returns for you. They will handle any corporation tax you might need to pay (this will depend upon your income and outgoings). Get really good at planning and looking ahead. Sales forecasting for the year will help you to plan when you need to hold extra fundraising events to fill the gaps. Stick to strict budgets for regular purchases. Be frugal with any spare cash you hold, and always have a contingency fund in place for emergencies. Don’t dip into it! Be strict with your money handling practises. You could potentially hold large amounts of cash at an event. Make sure you have secure systems to log and submit cash and get it banked quickly. NEVER leave cash on the premises. So let’s say you have 60 skaters in your league, and they all pay a monthly subscription. Then perhaps you have a weekly new skater night that’s pretty well-attended. Once a month, you hold one bootcamp and one scrimmage. Depending on your numbers, that could be a pretty healthy income! Ticket sales for your events will be a big source of income, but because it’s your own venue, you can sell refreshments and merchandise at every game – these offerings can prove to be just as profitable, as long as you get bums on seats. Appoint a team to be in charge of running your café and bar, and get them to make it as lucrative as possible. Be creative with what you sell, offer BOGOF deals and look for ways to bulk-buy to reduce costs. Your main outgoings will be the rent you pay for your venue, plus a service charge. This is usually a quarterly charge, to cover aspects of buildings maintenance provided by your landlord. Next, there’ll be business rates. This is like council tax, but for businesses. It’s incredibly important to keep up to date on your business rates payments. Rates vary depending upon location and size of your building, and some can be pretty high, but there are ways to help with this, like applying for CASC (Community Amateur Sports Club) status, which gets you a discount of up to 80% on your business rates if your league qualifies. Utilities are another regular outgoing – electricity, water and drainage. Have a member of your finance team take responsibility for arranging payments and regular meter readings. You will need to arrange insurance for your venue, to cover public liability and damage to internal fittings or belongings. Lastly, you will need to purchase regular sundry items to keep the place going, like toilet roll, cleaning materials, ice packs, etc. You will have event cost to consider too – each time you hold an event you’ll need stock for your refreshments and bar, merchandise, printing costs for flyers and posters, medics hire, PA hire, ticketing costs and water for the teams. Keep a strict budget and try to bulk buy where possible. What does your league do to benefit the community? How will you use their investment to get more people into sport? What are your targets for this, and can you measure your success? Getting more people taking part in regular physical activity. Upskilling members – we don’t just skate, we offer positions of responsibility within the league. You might learn anything from book-keeping to graphic design! Usually funding bodies will require that your club is governed by a national or international sporting body. For this reason, UKRDA and WFTDA membership is crucial. We all want more team training, right? Well now you have your own venue, you must utilise the time efficiently, to get your teams more track time. 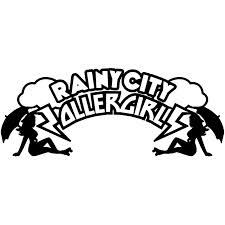 At RCRD we have 3 teams, plus a dedicated new skater training night. We hold training at various times throughout the week to ensure our teams stay competitive. Have an ambitious training schedule, so that your members get the most benefit from the space. Don’t fill it up with non-training events midweek, that’s your skate time! Save events for the weekends. Apply to host events! UKROC, WFTDA Officiating Clinics, local or national tournaments – all these events will bring customers to your venue, awareness to our sport and prestige to your league. And you can host your own tournaments too! Sur5als are a popular format, among others new ideas. It’s really your choice. Put on bootcamps to share your knowledge and help other leagues grow. If you have the expertise within your ranks, run your own, or if not, why not book all-star guest coaches to provide the classes. You can also generate income and PR opportunities from hiring out your space for other kinds of events, such as music events, film-making, parties or conferences. You need to aim to sell out every game to give your league the best chance of success. Get organised and begin your PR campaign around 6 weeks before the game. Get the media interested in your events calendar and give them regular updates on your events, particularly if you’re hosting international games. Anything that brings prestige to the town will be of interest to them. Always give away free tickets for council, press and sports development, and talk to them about how your league can contribute to their programmes and initiatives within your town. Get involved in local events to get more exposure and grow your support. Learn how people in your town get their news – is it online, local paper, in public areas like shopping centres, schools/colleges/universities – be everywhere your customers are. Find ways to partner with local businesses. Use your space to generate interest from sponsors and investors. Now that your league has a permanent space, with all the opportunity and benefit that offers, you will attract new skaters. Don’t sit back though, you must prioritise recruitment to ensure healthy numbers, and a steady stream of revenue. If your numbers drop, your income drops, and that could affect your ability to pay the rent. Always be looking 6 months ahead of where you are. Monitor skater numbers and audience numbers, to spot trends and predict when you might need to take action. If you don’t have a strong management team or the managers you have are burned-out, the important decisions can’t be addressed. Things get missed. If your league have elected you as a committee leader, then lead. Speak up if you can’t cope with the workload, and need more resource. Be a hero, but know your limits. From time to time, there are disasters. Roofs leak and make ceilings fall down. Companies you deal with make mistakes in your billing. Sometimes, venues get broken into, and your goods get damaged or stolen. Be prepared for these disasters to happen and don’t freak out when they do. Just gather the information and deal with it professionally, together. Support from every league member is vital. If you have too many non-committed members, jobs don’t get done, and they fall to the small number of very committed members to pick up. You must encourage and inspire your league to work together and support each other. Reward their hard work by looking after your members by investing in guest coaches or extra training sessions, funding team travel expenses, or putting on events and team bonding trips. Celebrate your achievements with all league members, and be proud of what you can achieve together. It’s hard work, and it’s time consuming, and you’ll bleed, sweat and cry through the hard times, but the best ideas come from the edges of great teams. Stay focussed on working together, and you’ll thrive.